The five-spot burnet moth is very attractive – red spots on black. But then so also is its caterpillar. I found this specimen when I was looking for strawberries, and was delighted to be able to identify it. 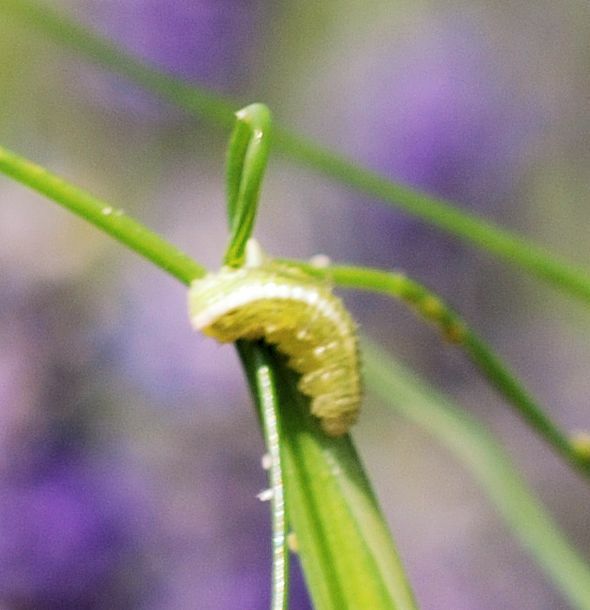 I spotted this caterpillar peeping out of a snapdragon. It had the air of a pest but I gave it the benefit of the doubt while I endeavoured to identify it. 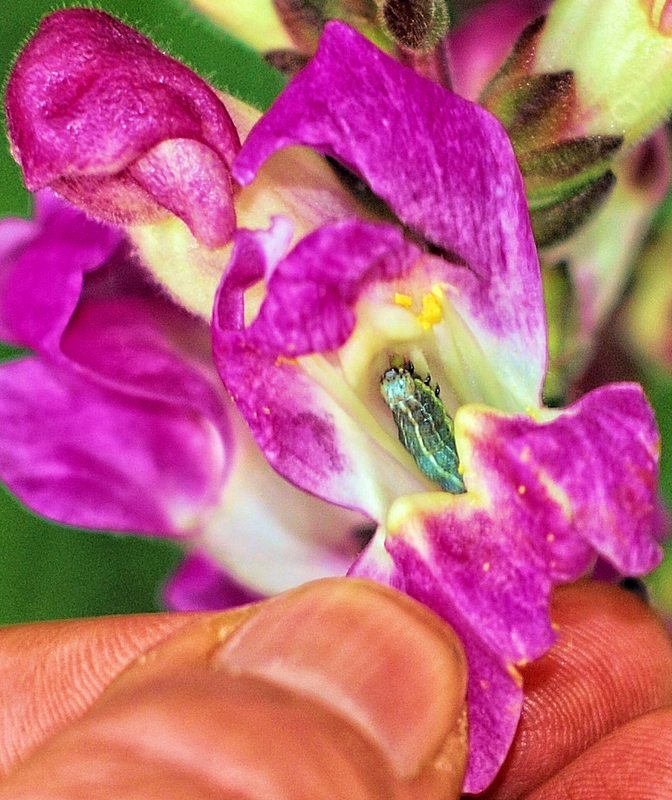 If I’m right, it’s a cutworm and certainly not something to leave loose on your snapdragons. So I went back and found it, curled up deep in the throat of the flower, and then had a good look at it under the microscope while Clive blocked its strenuous attempts at escape. Pruning back the bough of a silverberry bush to make room to get by, I noticed that the part I’d cut off was covered with tiny black caterpillars embedded in a sort of orange fur. Half an hour of research on the internet later, I concluded they’re the offspring of the Gypsy Moth, an extremely prolific and dangerous pest. 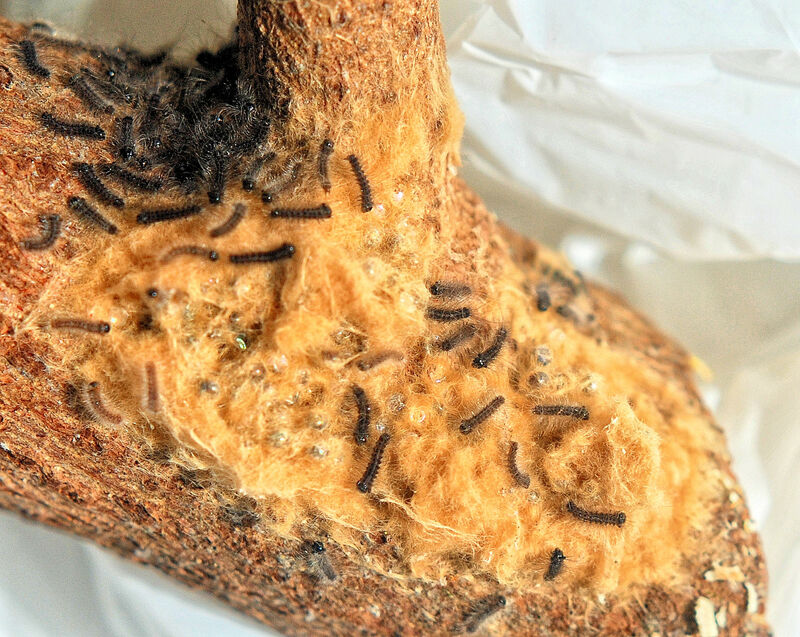 I learnt that they were introduced into the US by accident, when an entrepreneur who’d hoped to interbreed them with silk worms left some caterpillars on a windowsill and they blew away. Trees can be stripped of their leaves – starting from the top where it’s less noticeable – and entire forests decimated by them. 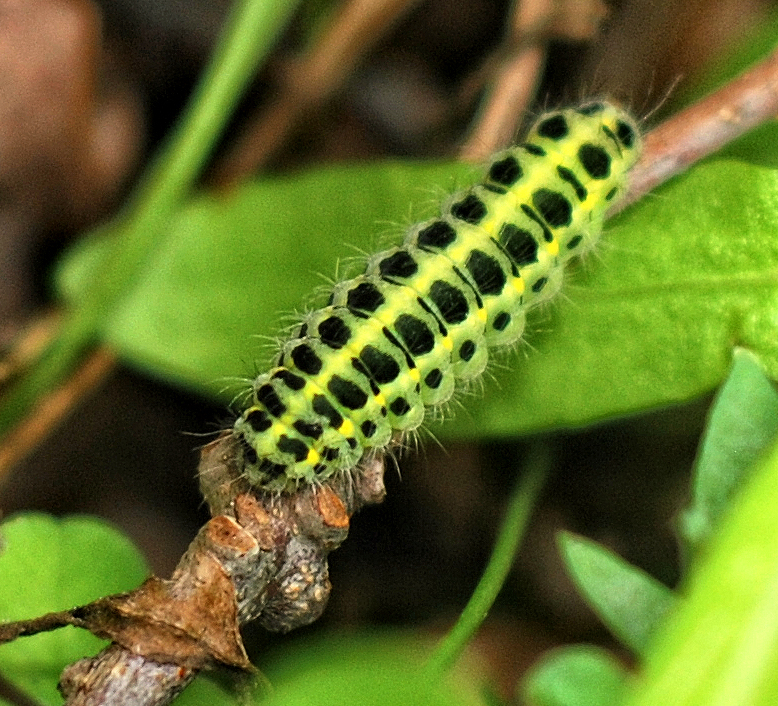 As if that wasn’t bad enough, gypsy moth caterpillars have poisonous hairs that can cause skin rashes. I’ll be keeping my eye out for more of these vicious little things! 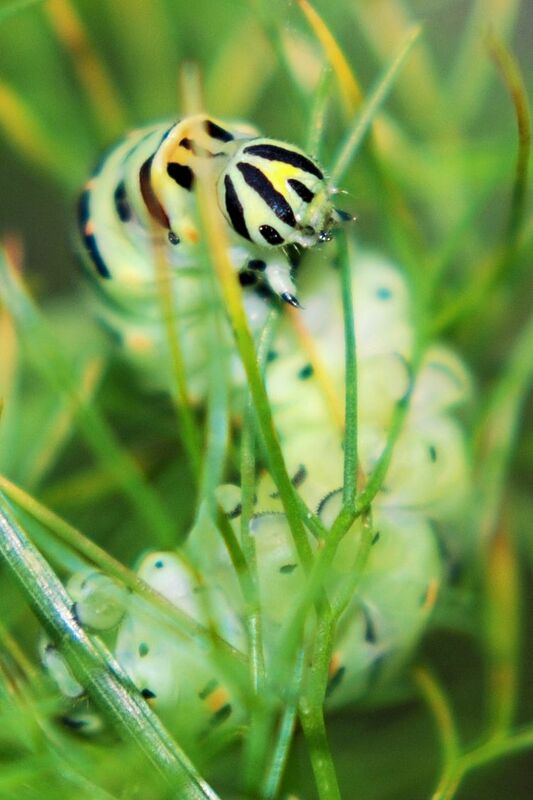 I don’t know why I think of this swallowtail butterfly caterpillar as Bert, not being one to anthropomorphise wild creatures around me as a rule. 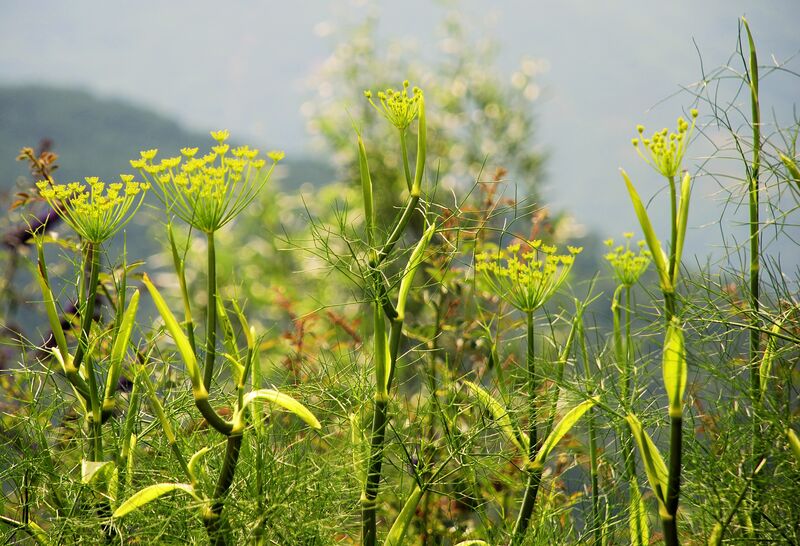 After cutting down a fennel plant that was poking through a rose, I found Bert hiding on the lower fronds. I broke off his frond and introduced it into a living plant, but not being the brightest button in the box Bert hasn’t moved over yet. He’s a bit more evident in his new location so I hope he won’t make a snack for a passing bird. I’ll try to keep my eye on him. 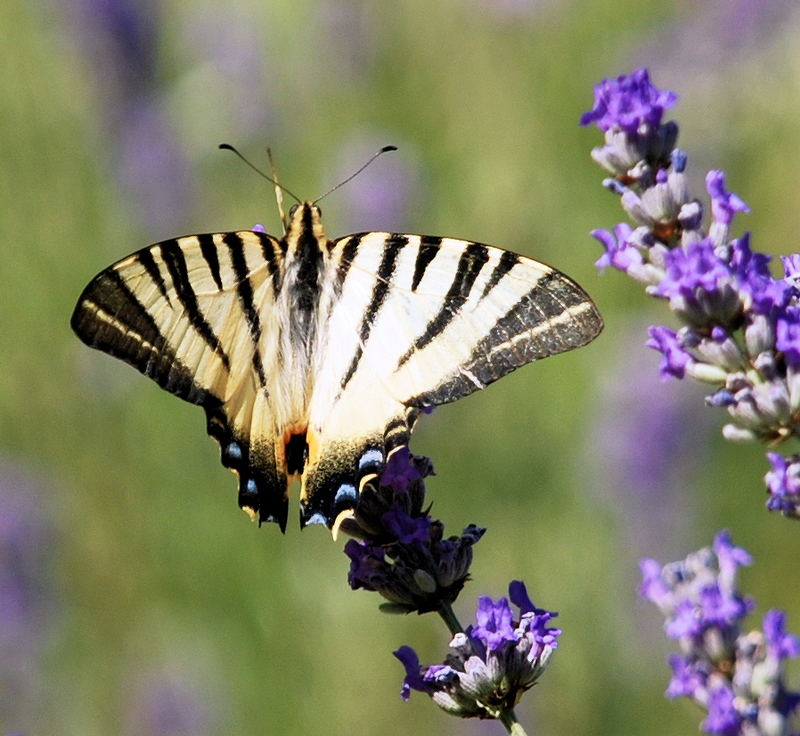 There are lots of these slow-flying, graceful butterflies around at the moment. They particularly like visiting lavender and buddleia. 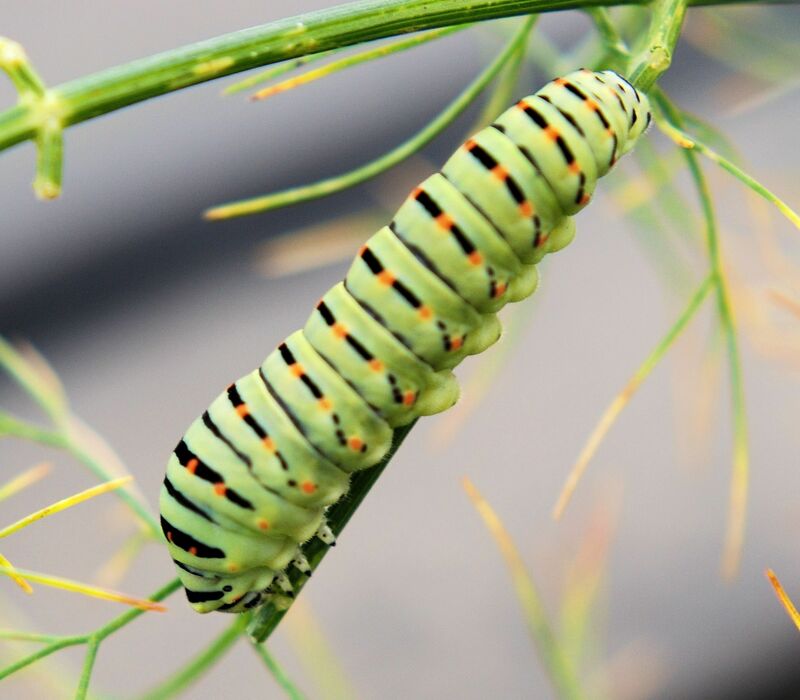 The caterpillars eat hawthorn leaves, apparently, unlike those of the other swallowtail butterfly which feed on fennel. ‘Scarce’ is a part of the name, although it seems they are generally quite rare. 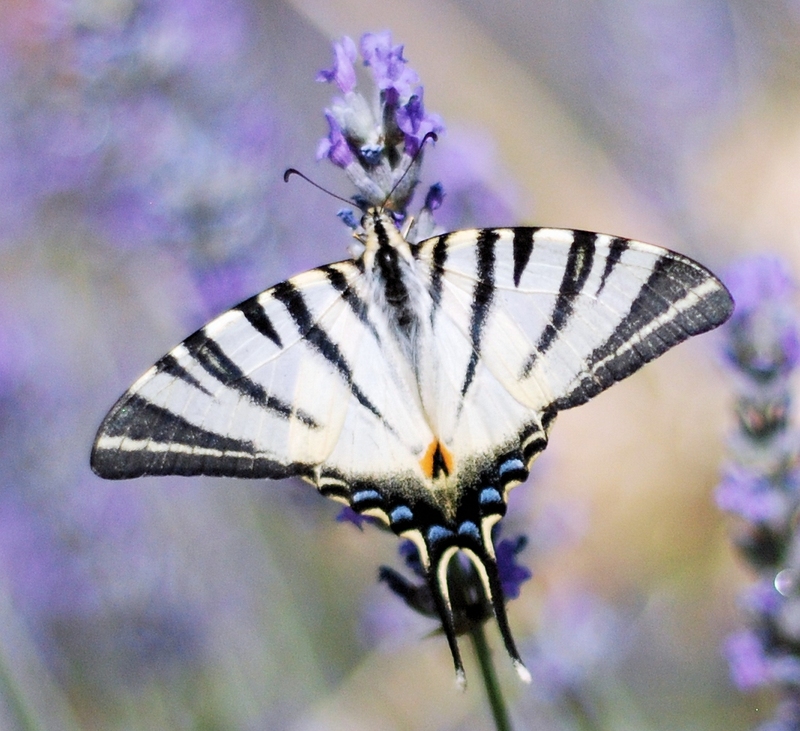 I’ve taken loads of photos but I particularly like this one because of the symmetry of the actual swallow tail around the lavender stem – like a hairslide or something!